Great to have Crystal Jade La Mian Xiao Long Bao back at Ngee Ann City, which is a constant favourite for family meals. 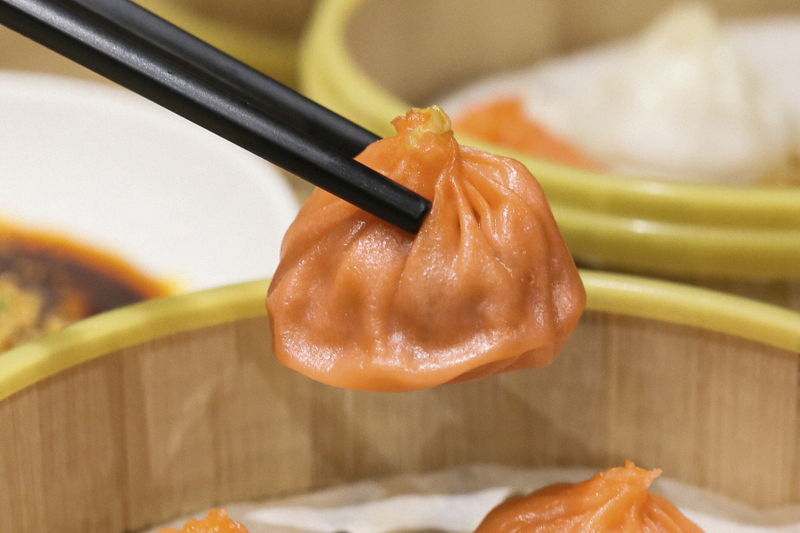 This is especially when we need to satisfy Xiao Long Bao cravings in the heart of town. 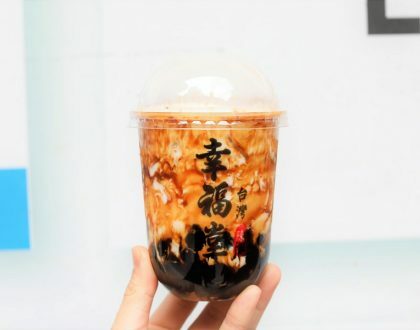 In terms of food choices, the restaurant continues to specialize in Northern Chinese specialties – as its name suggest La Mian and Xiao Long Bao dumplings; along with meat and seafood dishes from around the Jiangnan region. The specialty is the Hainanese Chicken Xiao Long Bao ($6.80) which incorporates the Singapore signature dish of Hainanese Chicken Rice into their famed Chinese dumplings. The international buffet restaurant is located on the 2nd storey of the new hotel located in the prestigious Stevens Road neighbourhood. Ready for some fresh sashimi and seafood, hot cooking stations serving up Eggs Benedict, Risotto, Foie Gras, and BBQ and Grill? You must leave some room for the roast meats, which I thought was a cut (pardon the pun) above the rest. The Sunday Family Brunch from 12:00pm – 3:00pm is priced at $78++ or $128++ with free flow Moet Champaign, Rose wine, Red wine, White wine and Draft Beer. 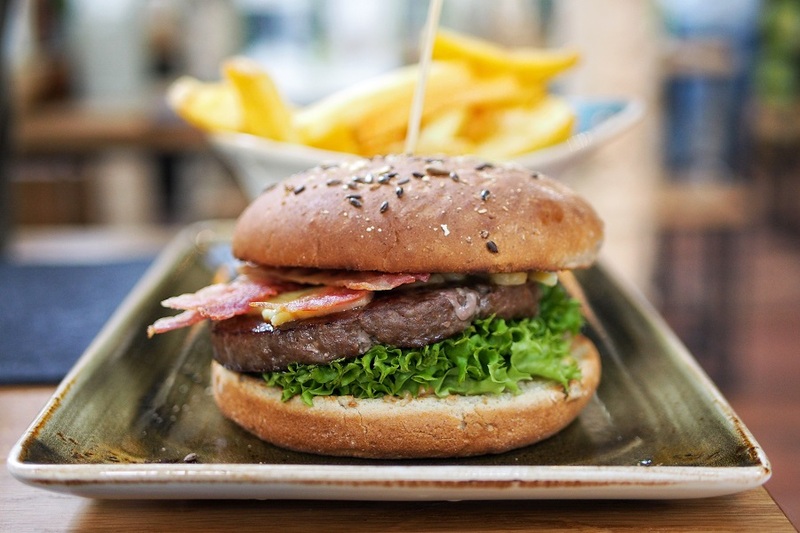 Hans Im Glück, an established German Burger Grill and Bar originated from Munich, has chosen Singapore as part of their first international expansion plan. 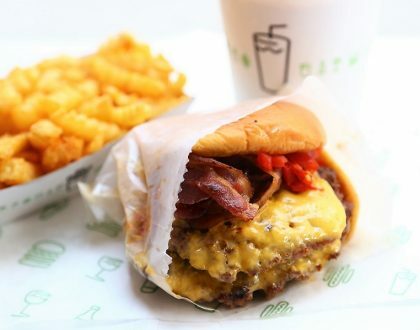 Burgers are their forte, and they serve up an extensive menu of beef, chicken, vegetarian and vegan burgers priced from $14 onwards. I liked that customers were given the option to choose our choice of bread from Sourdough, Multigrain or go Naked – without the bun. Generally, their rendition of European burgers turned out to be healthier than what I expected. Note: they ONLY do their beef well-done. Korean BBQ restaurant On The Grill 온더그릴 located at Myeongdong Seoul, has an unusual and motivating story. It was actually started by a Singaporean Jonathan Quek, who found love and success in Korea. 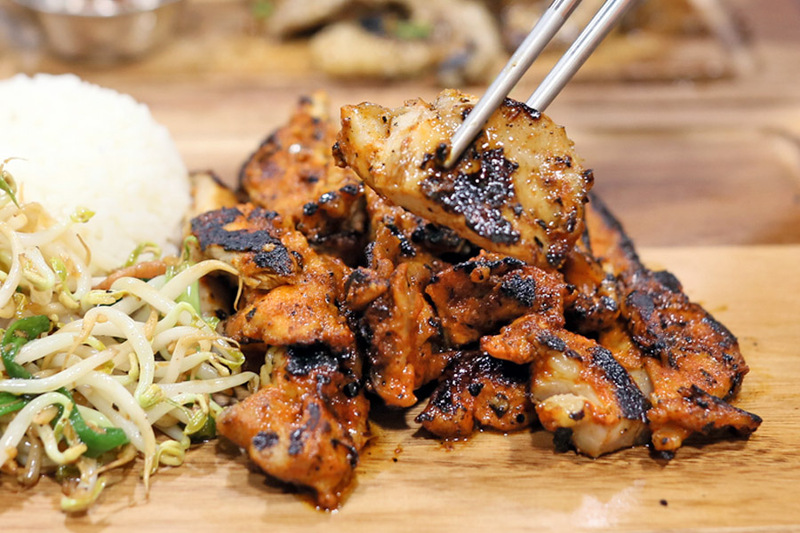 On The Grill at City Square Mall is a casual, fuss-free restaurant which serves up Korean BBQ meats on a wooden platter. Five &2 is set up with 2 social missions. The first: They believe in hiring the marginalised by redesigning job scope in which technology is used to create a more inclusive work environment. The bistro also believes in giving back to the society. 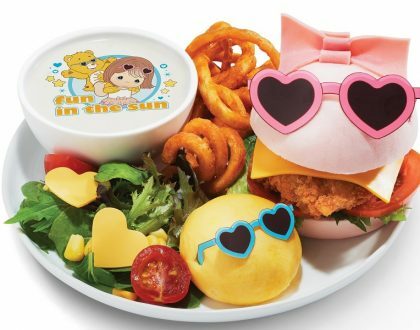 With every 5 meals sold at Five &2, 1 nutritional meal will be donated to a child from a resource-poor background. 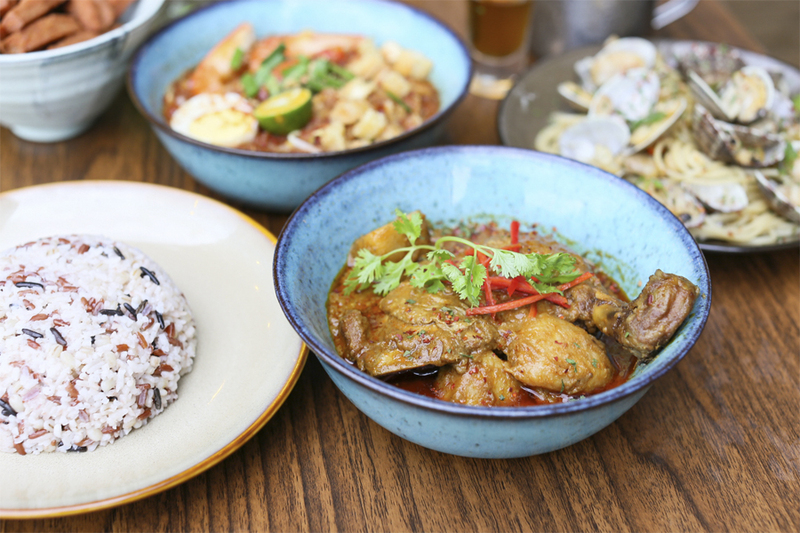 Kia Hiang has opened a sister restaurant Myo Restobar on the 19th level of Oxley Tower. While Myo is branded as a Chinese restaurant, I thought that a good portion of the dishes sounded interesting, not quite the typical ones we often see out there. If you are lost at what to order, then the signature dishes should be a safe bet. Located within The Sultan Hotel Lobby, the person helming the kitchen is Chef Tammie Loke – a retired LTA veteran and home-cook turned chef. 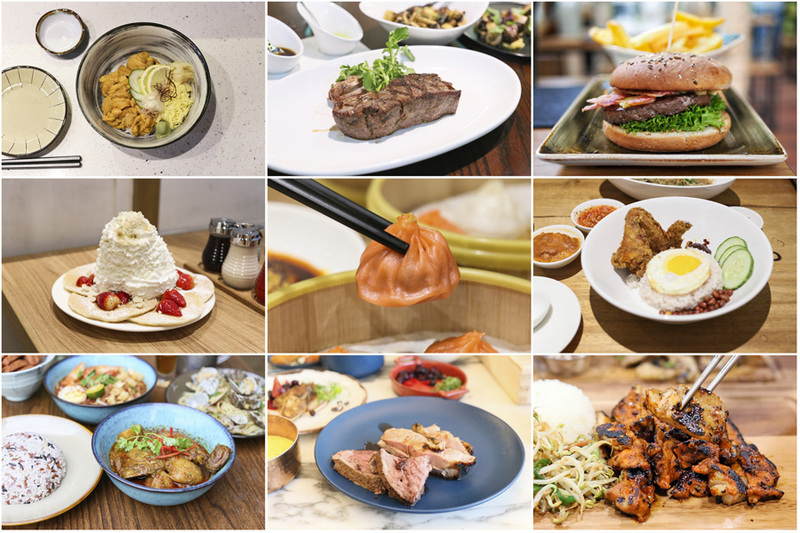 The menu features Singapore home favourites, from Fried Roast Duck Bee Hoon ($9.90), Ngoh Hiang ($12.00), Fish Porridge ($8.90) and Char Siew Rice ($8.90) which uses garlic rice instead of the normal type. All the dishes served are accompanied by specially created sauces. The highlight of the noodle dish was the Char Siew, with 5 large glistening pieces made from a secret recipe and style. 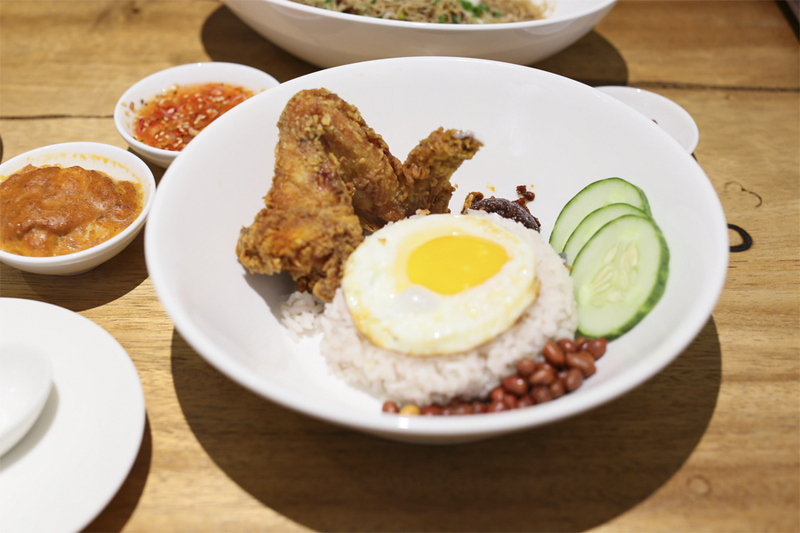 Popular brunch eatery Eggs n’ Things has opened its first outlet outside of Hawaii and Japan in Singapore at Plaza Singapura. 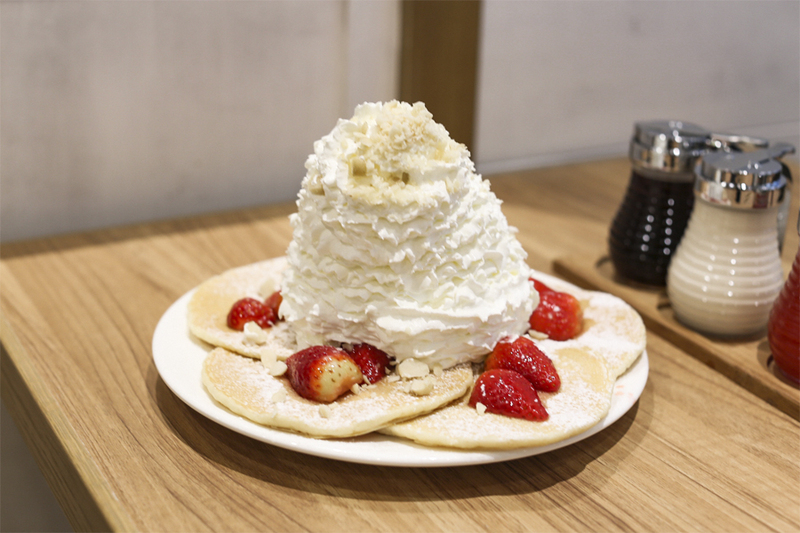 Recommended items included Pancakes with fresh strawberries, whipped cream and macadamia nuts ($19.90), Omelette with spinach, bacon and cheese ($19.90), Loco Moco ($18.90), Beef Steak and Eggs ($25.90), Waffles with fresh banana, whipped cream and macadamia nuts ($19.90). 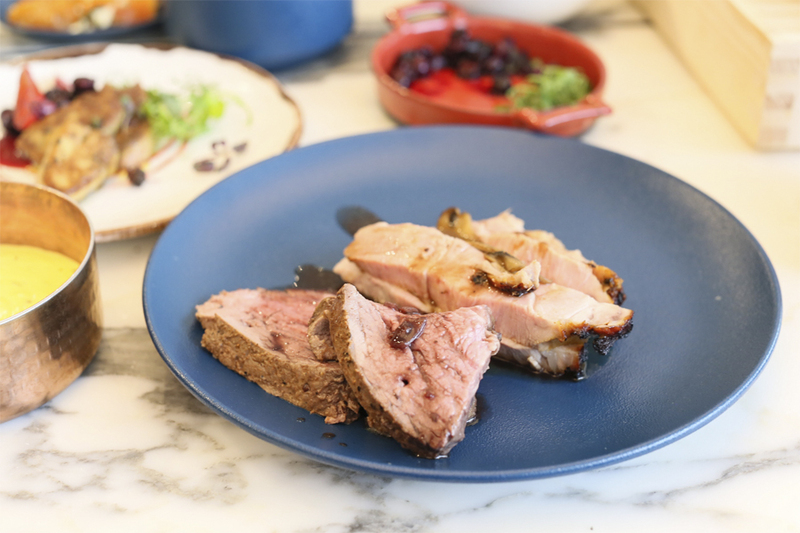 Wakanui, a New Zealand term meaning “to canoe over the land of plenty”’ is a grill restaurant concept that showcases the best available meats from the country. 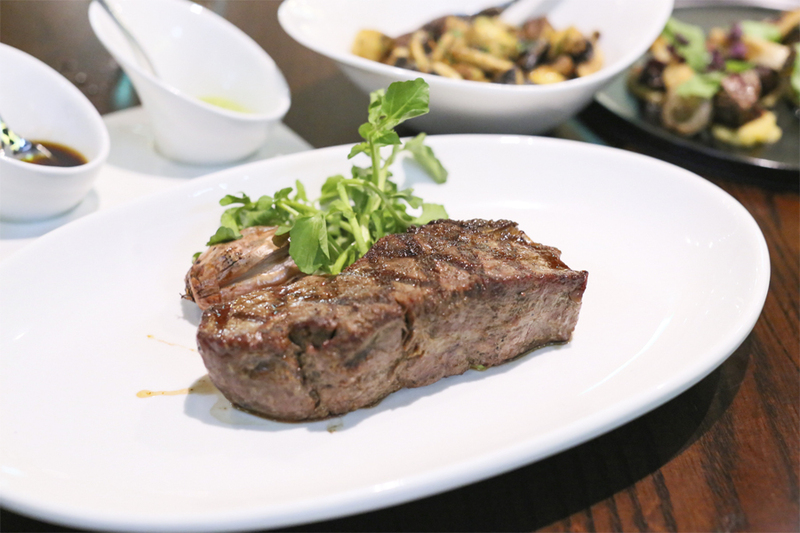 Its first outlet opened in Tokyo in 2011, and its success soon meant the opening of its second outlet there, focusing on lamb chops. 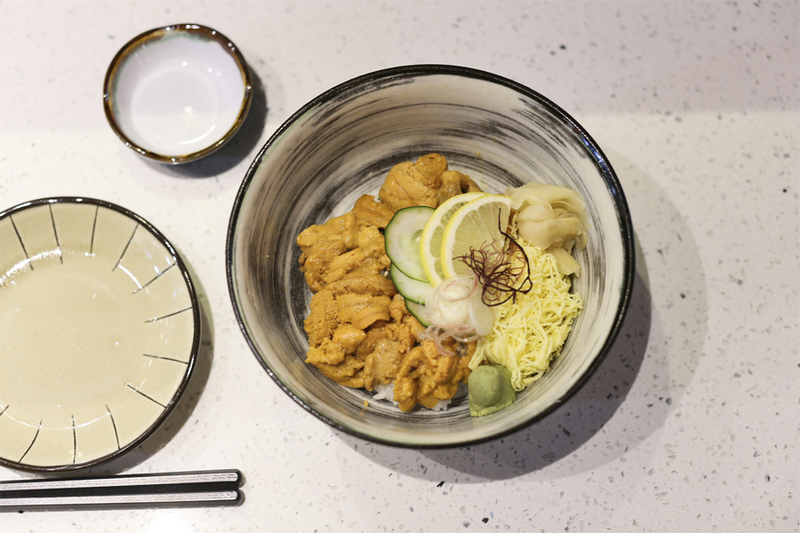 Therefore, you could also find some Japanese influences in the menu over in Singapore’s outlet. In terms of the Ocean Beef, there were choices of 21 Days Dry-aged Bone-in-Ribeye ($199 for 1000g), Ribeye Cut ($79 for 350g, $109 for 500g), or Sirloin ($72 for 350g, $99 for 500g). If you come in a group, then a possibility could be the Wakanui Selection Board ($268) with the Bone-in-Ribeye, Canterbury Grass-fed Fillet, and Spring Lamb. Unfortunately despite the positive reviews I had been reading, the beef sirloin turned out to be slightly overcooked, bland and almost too tough and dry. Perhaps not my day. For a start, the Uni dishes included Uni Onsen Tamago ($25), Uni Oyster Shot ($25), Uni Agedashi Tofu ($22), Uni Maki Roll ($68), Uni with Quail Egg ($20), Uni Sashimi ($29), and Uni Chirashi ($49). Reviews have been pretty mixed though, with some gushing over the generous creamy uni, while others complained about “funky” and bitter ones.